If you’ve ever shopped around for replacement windows, then you may have already come across an NFRC label. NFRC stands for the National Fenestration Rating Council and they are responsible for measuring the efficiency of all functioning window parts, from the frame materials and the glazing right down to the weatherproofing seals. Renewal by Andersen® of Cincinnati is committed to providing our clients with only top-quality and energy efficient products. To this end, our professionals offer these tips to help you understand what the numbers and ratings mean in an NFRC label. NFRC labels help consumers identify the energy ratings of a particular window. All ENERGY STAR-certified windows will carry an NFRC label. This means if you want to be certain whether your window is efficient or not, you always want to look for both the green ENERGY STAR logo and an NFRC label. The U-factor measures a window’s insulation rating. It’s often shown as a number between 0.25 and 1.25. The lower this number is, the better the window is at insulating against its surroundings. Typically, the U-factor rating requirements depend on location, but if you’re unsure, it’s always better to choose the lower number to optimize performance. Similarly, you also want a low SHGC rating. This number shows how much of the sun’s heat can pass through the window’s glass. The lower this number is, the better your window is at keeping itself cool even while under intense sunlight. For example, homes with low SHGC bay windows will always be a few degrees cooler than a room with a similar window style, but a higher SHGC. The other numbers in an NFRC label correspond to the other qualities that determine a window’s performance. These include Air Leakage (AL), Visible Transmittance (VT), and condensation resistance. 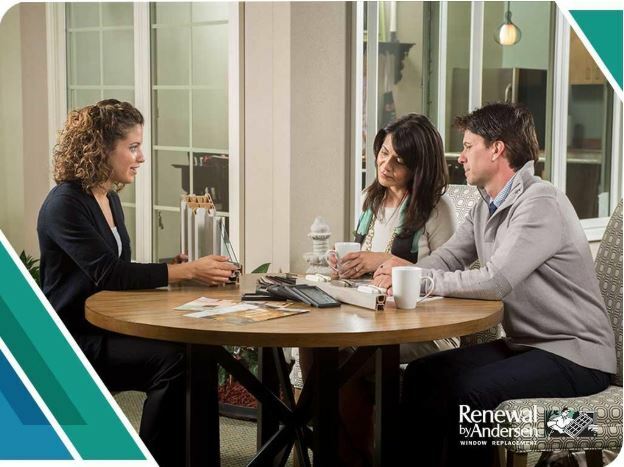 Choose from a full range of top-quality wood composite replacement and specialty windows, patio doors, and more only at Renewal by Andersen of Cincinnati, your number one trusted window replacement company. Give us a call at (513) 283-8981 or fill out our online contact form to schedule an in-home consultation and request a free estimate today. We serve homeowners in Mason, Sharonville, Loveland, and all nearby areas in Ohio.